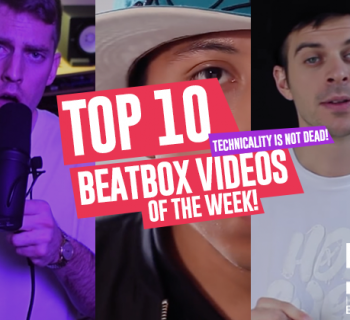 We’ve got a few tricks and a few treats in this week’s beatbox videos! I’m sure your Facebook notifications from the millions of beatbox Facebook groups have hinted that it’s Grand Beatbox Battle Wildcard season. Although there have been so many incredible wildcard submissions, we’ll leave that to a special post on FRIDAY. 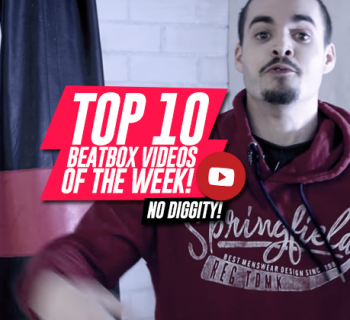 In this post, we’ll be covering all the best beatbox videos that are not wildcard submissions. This week, I’m super happy to see that beatboxing is continuing to be pushed into a full-on musical art form and not limiting ourselves to battling. Without further ado, let’s get started! 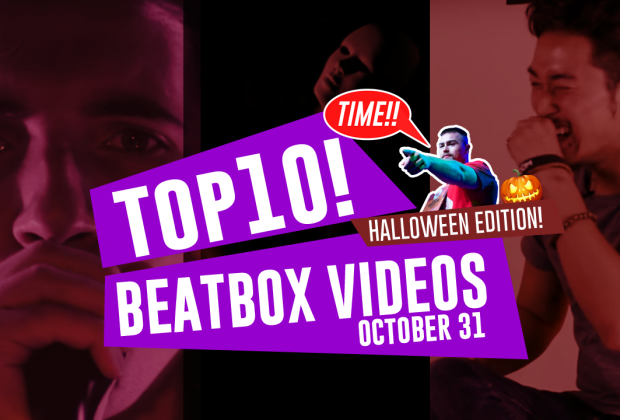 To kick off the Halloween season, we have Alexinho giving us a little teaser of his upcoming beatbox set. He’s moving on to becoming a full on performer after his incredible year of collecting silverware - stay tuned for his live set! The UK beatbox championships are around the corner and while we sit tight and wait, we’ll be able to enjoy all the solo elimination rounds building up to this moment. This time, we have D-Low killing his round, showing the beatbox community why he is a serious contender this year. We’ve been loving the Midwest series with Beatbox Television. BRP is a name that has been up and coming and this video is the best indicator why. Technique and flow to the max. Bloomer is up and about performing at SoFar sounds around New York City and he’s been leveling up his routines. It’s cool to see him performing in front of a non-beatbox audience and really working towards being not only a beatboxer, but as an artist. Really enjoyed this one. We absolutely love and admire beatbox being used in creative ways and this piece is no exception. Sir Skitzo partners up with Misfire to produce this really cool track called Anxiety. Definitely worth a listen! If you’ve missed the #ReepsHarvard project, Reeps One was offered the amazing opportunity to parttake in a one-week residency at one of the most prestigious institutions in the world. We had the wonderful opportunity to see his work and this interview sums up most of his projects. We’re so lucky to have him lead the frontlines of beatbox culture! Oh yes, the Asia Beatbox Championships are here! The two Asian beatbox powerhouses battle it out head to head in this incredibly tight battle between Zhang Ze and Bataco, two huge names who have also participated in this past Grand Beatbox Battle. Enjoy this one! This cover of Heathens proves that Dharni and K Leah makes one of the best duos we’ve seen in the beatboxing world. Also, Dharni’s makeup game is on point. We want more! Dang. Talk about leveling up! It’s like Inertia gathered all the creativity and energy that he’s ever had in his entire beatbox career and compressed it into these 5 action-packed minutes. Although his name has been tossed around lately, this is the biggest statement he's made yet. Look out for this kid! Robeat with another zinger! 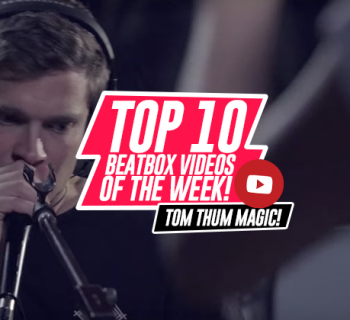 We absolutely love this piece where he beatboxes while spicing it up with some moog and keys. The spooky theme, the production, the musicality of it all makes this one a real special treat. Making us proud, Terry! There is nothing more rewarding than seeing members of our beatbox family going out and doing great things - inspiring the new generation to explore the art form in new and creative ways. This collaboration with Sam Tsui, Madilyn Bailey, and KRNFX is a masterpiece and it’s already going viral! We’ll be having this gem on repeat for the next few days. 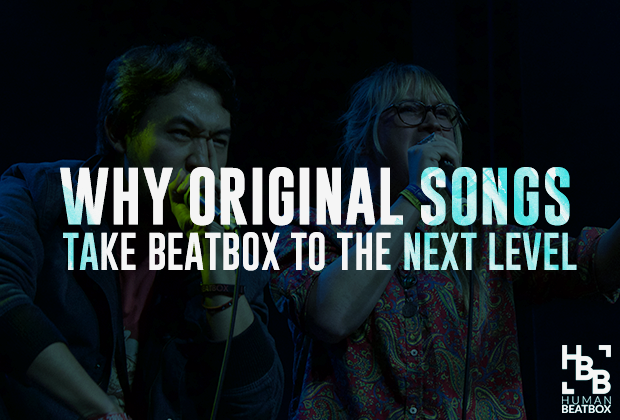 If you’ve missed it, we worked with the Beatbox House to produce the very first beatbox game show. This one was a blast to produce so we hope you enjoy! We’ve also started our very first beatbox talk show called We Talk Beatbox where we analyze and talk about...well...beatbox. This is the first episode of many, and we’ll continue to bring on guests and cover numerous topics around beatbox - stay tuned!